A new briefing by Amnesty International sheds light on a growing pattern of sectarian killings and abductions by the Islamic State in Iraq and al-Sham (ISIS) since the group seized Mosul, Iraq’s second-biggest city, and other parts of north-western Iraq last month. Northern Iraq: Civilians in the line of fire, published today, contains harrowing accounts from displaced civilians who fled areas seized by ISIS, fearing for their lives after their relatives were abducted and killed by the group, and amid increasing danger from Iraqi government air strikes. “Once again beleaguered civilians in Iraq find themselves trapped in a spiral of sectarian violence from all sides. Hundreds of thousands have fled their homes in terror of abductions and killings by ISIS and air strikes by government forces, as all sides are showing utter disregard for international humanitarian law,” said Donatella Rovera, Amnesty International’s Senior Crisis Response Adviser who has just returned from northern Iraq. 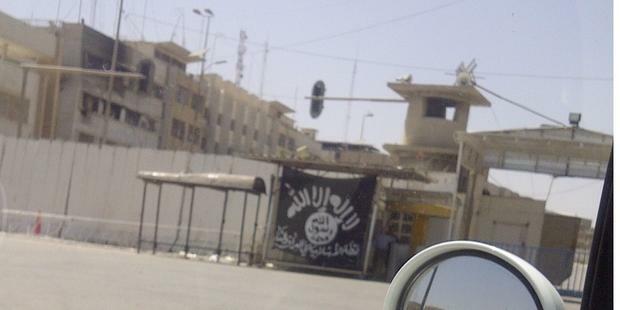 Abductions have taken place in every town and village that has fallen under ISIS control. Many of those taken are still missing, others were found dead. Amnesty International interviewed relatives of an 18-year-old man from Gogjali, east of Mosul, and his 44-year old uncle who were abducted at an ISIS checkpoint on 20 June and later murdered. The boy’s mother found their mutilated bodies two days later. She showed Amnesty International photographs of the bodies; their heads had been smashed with heavy objects and their hands were cuffed behind their backs. One had had his throat cut and his body was partially burned. Amnesty International has also documented a series of incidents where individuals were deliberately killed after having been captured by ISIS. In one case, three Shi’a policemen were summarily killed by ISIS after being captured at a police station in Mosul. On 27 June 2014 ISIS members also killed three Shi’a men they had captured in the Shabak village of Tobgha Ziyara and dumped their bodies, relatives of the men told Amnesty International. ISIS is not the only side that has committed war crimes. Amnesty International has gathered evidence to show more than 100 Sunni detainees were killed in cold blood by government forces and Shi’a militias in vengeful attacks before withdrawing from the cities of Tal ‘Afar, Mosul and Ba’quba as ISIS advanced. Indiscriminate artillery shelling and air strikes by government forces against ISIS controlled areas have also killed and injured dozens of civilians and spurred many to flee fearing for their lives. Air and artillery strikes by Iraqi forces have intensified in recent weeks increasing the danger to civilians. All sides have committed war crimes and gross abuses of human rights in spiral vicious cycle of intensifying violence in Iraq. The safety of civilians is paramount. All sides must end the killing of captives, treat detainees humanely and refrain from carrying out indiscriminate attacks.